Other than for listed companies such as Signet Jewelers, Fossil Group and Movado Group, it is difficult to get a great deal of detail on the financial performance of retailers in the United States. However, thanks to reporting requirements in the United Kingdom, where The Watches of Switzerland Group is headquartered, we do get considerable detail on the accounts of a company that aims to become the biggest luxury watch retailer in the United States. 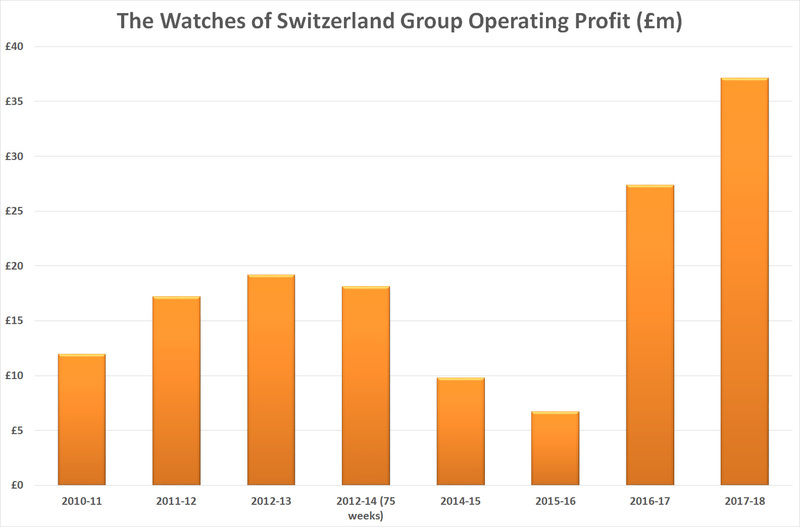 Operating profit at The Watches of Switzerland Group jumped by over 35% in the financial year ended April 29, 2018, accounts published at Companies House, the UK’s central register for financial information, reveal today. The group’s turnover for the period was already disclosed before Christmas at £685.2 million, an increase of 21.2% over the prior year. The impact of acquiring Mayors and two retail stores in the Wynn Resort of Las Vegas can now be disclosed as the American businesses added £90 million of sales to the group. Sales in the UK rose by 5.1% from the prior year from £566 million to £595 million. 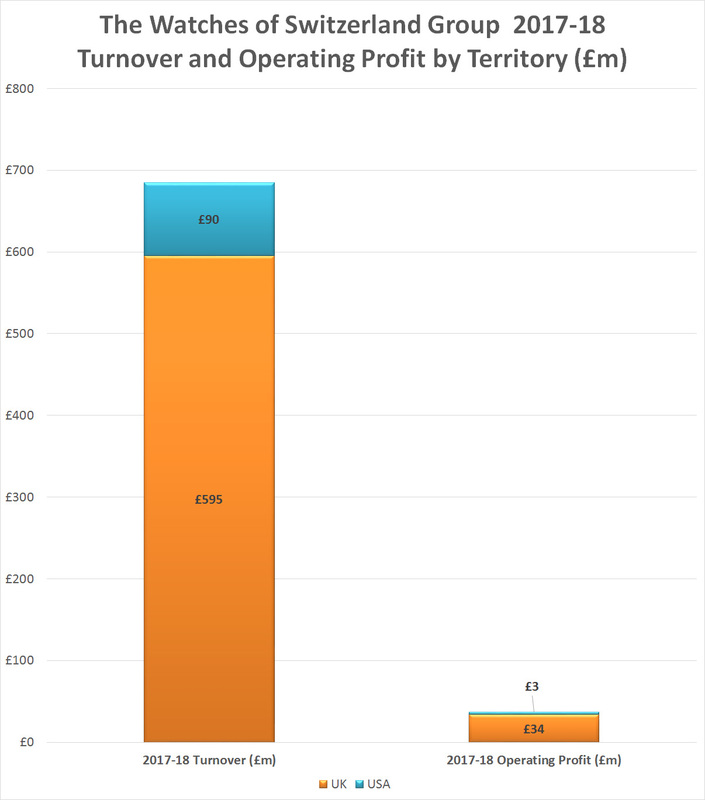 Operating profit from the UK, alone, rose by 24% to £34 million. The costs associated with the group’s debt amounted to £30.3 million in the financial year and an additional £6 million was paid in tax, leading to a full year profit of just £881,000. As of April 29, 2019, The Watches of Switzerland Group was running 134 stores in the UK and 19 stores in the United States. The business has continued to shift its focus towards luxury watches and away from less expensive fashion and classic watches. 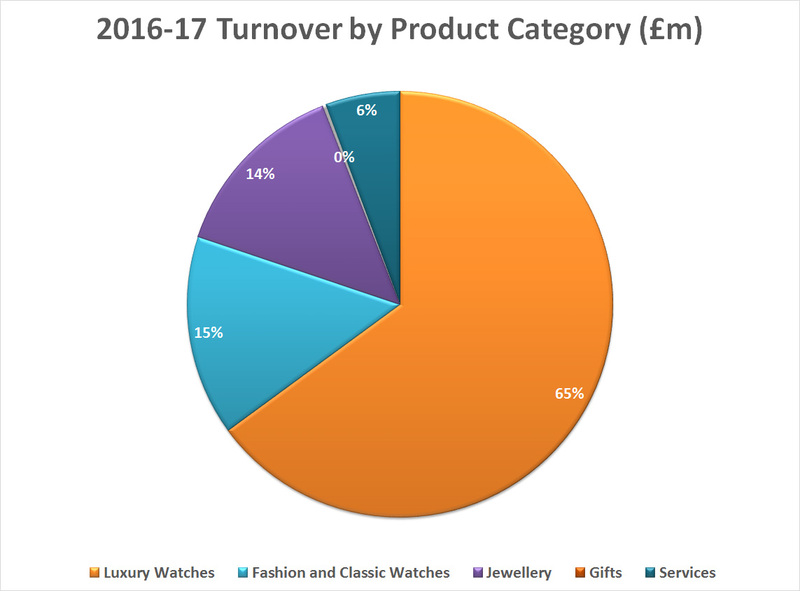 In 2016-17 luxury watches accounted for 65% of turnover. By the following year the contribution had increased to 72%. Sales of fashion and classic watches had declined by 15%, largely due to the company exiting its Boutique by Goldsmiths business in the UK, which specialized in volume watch brands. 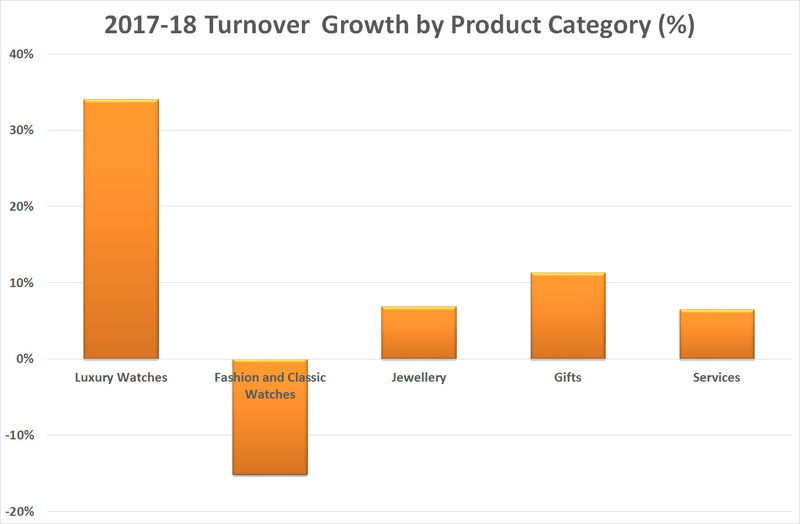 Sales of these inexpensive watches have shifted online within the group to its Watchshop.com property, but online growth did not compensate for the downturn in sales from physical stores. Jewelry sales grew by 7% over the period, although it is not clear how much of this came from the American operation.